XLRI : News - From Campus & Alumni: Prof Debasis Pradhan (XLRI Jamshedpur) publishes "Marketing Management - A Casebook"
Prof Debasis Pradhan (XLRI Jamshedpur) publishes "Marketing Management - A Casebook"
Marketing Management: A Casebook is a comprehensive collection of 16 cases aimed at helping students understand the complex issues that marketing professionals deal with on a regular basis. Cases are Asia-centric, taken from small and large corporations, and include household names such as Reliance Fresh Stores, Burnol, Burger King, and Cafe Coffee Day. 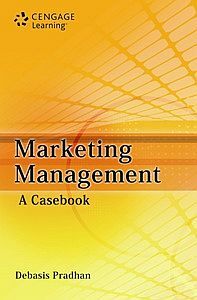 With a logically structured approach to case analysis and questions for review, this casebook will be an engaging reading for all students of marketing and international business and will help to bridge the gap between academia and the real business world. Professor Debasis Pradhan is a Fellow of the Institute of Rural Management, Anand. 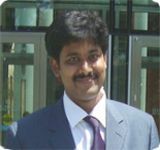 He is Assistant Professor, Marketing, at XLRI Jamshedpur, where he has been teaching the principles of marketing, advertising and sales promotion, consumer behavior, and rural marketing since 2006. He also has more than two years of managerial experience in the power sector. A prolific writer, his papers and cases have been widely published in national and international journals of repute. He has presented papers at international conferences such as INFORMS Marketing Science Conference (Singapore Management University, University of Michigan, University of Cologne, Rice University), and Academy of Management (Philadelphia). His areas of interest in research include media-mix decisions, consumer decision heuristics, fuzzy goal programming approach in marketing, marketing theory, and bottom of pyramid (BOP) markets.